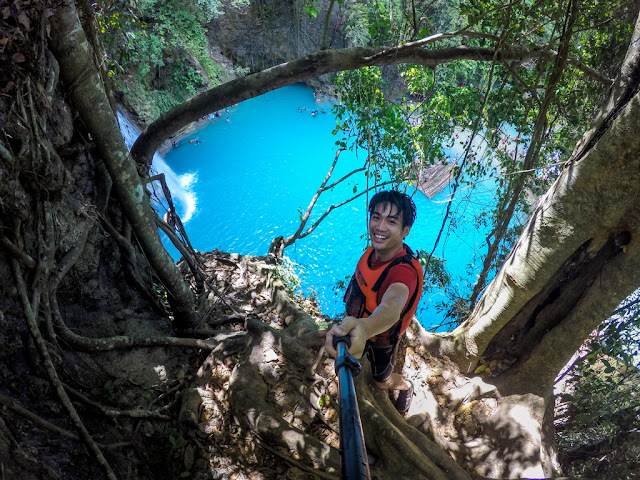 A Thai travel blogger who goes by the name “The Walking Backpack,” recorded his adventures whilst in the Philippines and was overwhelmed with the responses he continues to receive. Armed with just his monopod, camera and what appears to be shoe-like sandals, The Walking Backpack documented his adventures in both Manila and Cebu. 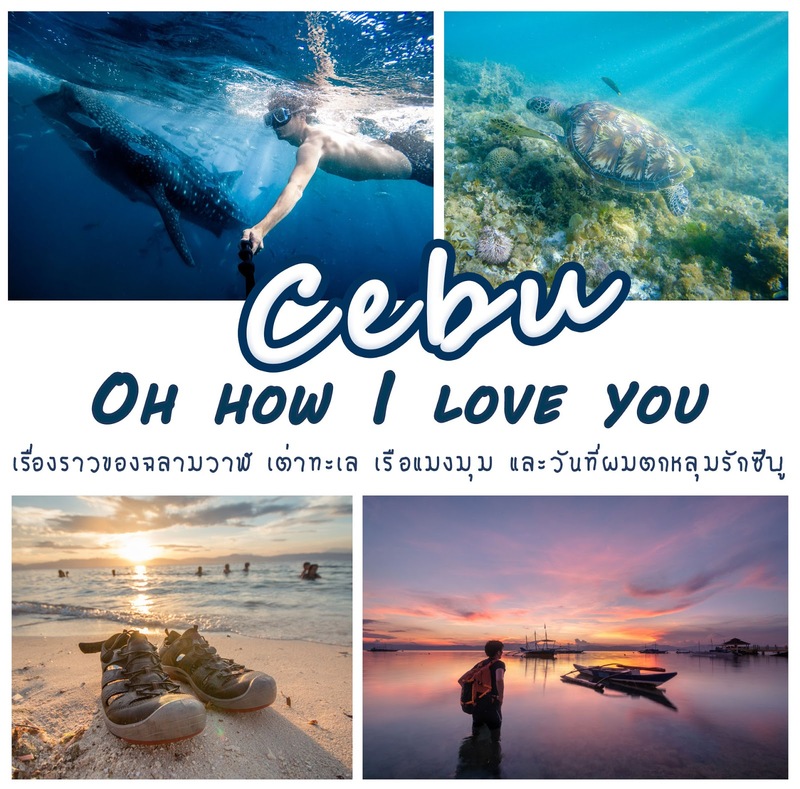 The beginning of the video shows the travel blogger saying something in Thai before he dived in the clear waters of Cebu. 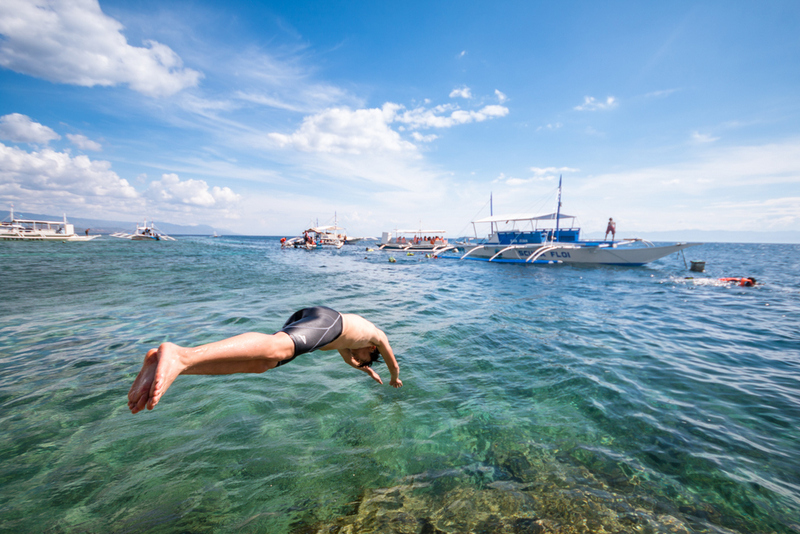 Then a flashback of what he did during his stay in the country – with him adding that the Philippines consist of more than seven thousand islands with varying sizes. When he landed in Manila, he revealed how populated and congested the city is. He then braved eating the traditional Filipino street food we all call balut. Although Thailand has the same variety of balut they call khai khao, it’s not as popular compared to the Philippines where you can see it practically almost anywhere. After Manila he took the flight to Cebu. His first adventure in the Queen City of the South was a close encounter of the school of fish kind. I was impressed of the beauty of the underwater world myself and felt a pang of envy. I wish I could try this. Millions of fish were swimming right before his eyes, creating some sort of shapes. There was a sea turtle and other sea creatures I normally see in movies, too. His second adventure was doing canyoneering in Badian’s Kawasan Falls. I didn’t know the word canyoneering, but now I know because of this guy. He made me search what the meaning of the word is and according to Google, it is “the sport of exploring a canyon by engaging in such activities as rappelling, rafting, and waterfall jumping.” His face registered an enjoyable outdoor activity worthy of trying. If I get lost in Cebu, I’d like to try this as well. 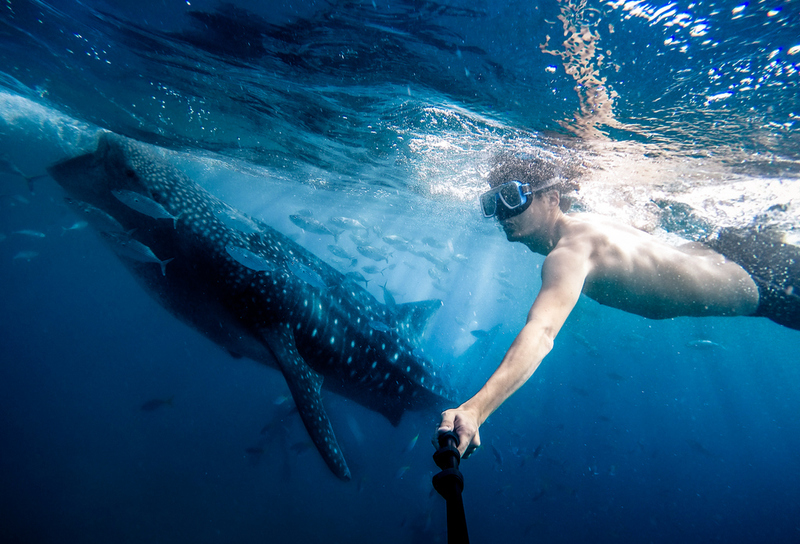 The third yet probably the most amazing experience in my opinion is when he swam with whale sharks in Oslob. Those sharks were huge yet super gentle. I heard from a friend last year that it’s no longer allowed to swim with whale sharks. But I guess the government changed their stance since this video was taken only last month. Anyway, his adventures in the Philippines ended at the white beach where the beauty in front of him and the memories he had made him to love Cebu. Check out his video below.